Just shy of 2" x 1/4" this Arkansas laser crystal will make a phenomenal jewelry piece. 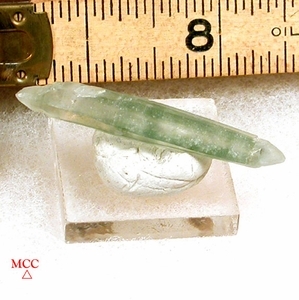 Its' rich green chlorite phantom - rare -, white titantium tips, stepped point with an extra facet and bright tabular 'accessory' crystal add to its' allure. 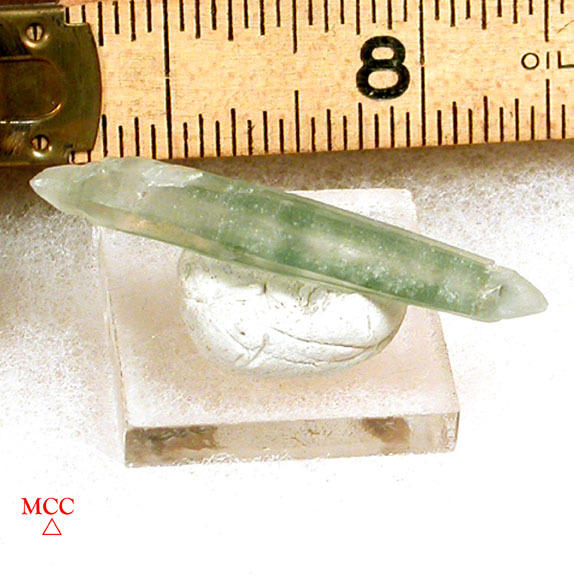 Green chlorite is said to be healing; laser crystals to cut to the heart of the matter - how can you not? !